Agents of S.H.I.E.L.D. is a very competent production. It looks lavish. It connects the dots. It reminds the audience that it’s connected to a string of blockbuster movies without being pushy about it. It introduces a diverse ensemble. It sets up long-running mysteries and story arcs. It’s a tight and focused, and controlled piece of television. Perhaps too controlled. 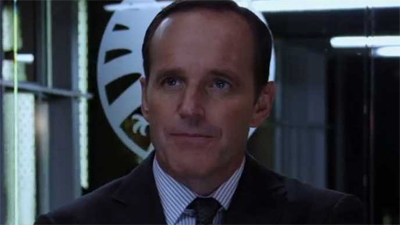 There’s something oddly restrained and oddly refined about Agents of S.H.I.E.L.D., feeling a little smoother and a little more polished than a pilot really should. There’s not a hair out of place, but only because everything has been so meticulously styled. This isn’t a bad thing – the pilot plays remarkably well – but it just feels a bit limp, a bit lifeless. It’s as if we’ve tuned into a Life Model Decoy of a Joss Whedon show. Evil Dead does has a bit of a quirky charm to it, serving as perhaps the best-made horror throwback I’ve seen in quite some time, much more effective than most of the recent splurge of exorcism movies. As far as competent execution of classic horror movie tropes go, complete with the sense of “something gruesome’s gonna happen” dread and a healthy amount of gore, Evil Dead succeeds admirably. There are some issues in the final act, but Evil Dead checks all the necessary boxes, and does so with a minimum amount of fuss or pretension, which makes it a surprising enjoyable watch for those looking to enjoy a good old-fashioned video nasty. That said, it can’t help but feel a little awkward, through no fault of its own. Sam Raimi’s Evil Dead was a genre classic which worked in a large part because it eschewed all but the most basic tropes of horror storytelling, refusing to dress a video nasty in anything too fancy. The movie came to embody a particular subgenre of horror, and it wore its grotesqueness on its sleeve. Last year, Cabin in the Woods offered a fitting follow-up, a capstone to that approach to horror. As such, through no fault of its own, this version of Evil Dead feels like it arrived a little late. I quite enjoyed Oz: The Great & Powerful. The visuals were amazing, and I thought that Sam Raimi brought the world of Oz to life in a way that audiences haven’t really seen since 1939. Despite the fact that the film was limited to elements from the source novels rather than the classic film, meaning no red slippers and the Winkie Guards chanting a generic “ho-ho-ho” instead of “ho-ee-ho-ee-oh”, I think that Oz: The Great & Powerful is the first time that a film has taken us back to that version of the wonderful world of Oz. It’s a shame, then, about the script. I have a lot of problems with the screenplay by Mitchell Kapner and David Lindsay-Abaire. Indeed, I’m less than thrilled that Kapner has apparently been tapped by Disney to prepare a sequel. While Raimi and his cast, and his production designers, seem to understand a great deal about the magic of The Wizard of Oz, it seems like Kapner and Lindsay-Abaire seem to have missed the point. It’s a shame, then, that Oz: The Great & Powerful rolled on March 8th, celebrated as International Women’s Day. Dorothy Gale has been described as “the first feminist role model” and The Wizard of Oz is packed to the brim with strong female characters. Although Dorothy obviously can’t play a major role in this prequel, one does wonder where all the strong women have gone. 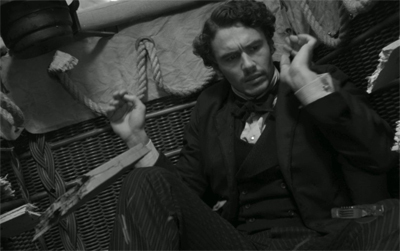 Note: This post contains spoilers for Oz: The Great & Powerful. Consider yourself warned. 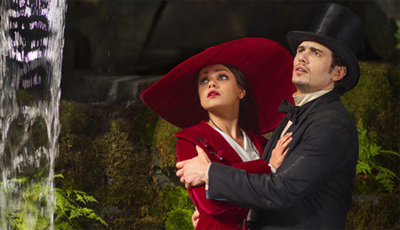 Oz: The Great & Powerful is a fabulous production. A few minor misgivings aside, it looks and sounds fantastic. Sam Raimi has done the best job bringing Oz to the screen since the original version of The Wizard of Oz all those decades ago. In its best moments, there’s an enthusiasm and a lightness of touch that fits the material perfectly and captures the wonder that we associate with Oz. It’s very clear that a lot of love and care was put into the production design of the film, and that Sam Raimi’s hand moved with the utmost consideration and affection for the original film. It makes it a little disappointing, then, that the script to Oz: The Great & Powerful should feel so undercooked, more like an early draft than a finished screenplay. Up in the air or down to earth? Do We See Too Much of Film Before It’s Released These Days? It’s a week before The Dark Knight Rises is released, but I haven’t watched any new footage since the last time I posted a trailer for the film. And boy, has that been more difficult than I make it sound. It seems like every other day there’s a new TV spot or a clip being released. Last December, like The Dark Knight before it, the prologue to the film aired in certain Imax cinemas. Warner Brothers even taking the somewhat unexpected step of releasing the production notes to the public. While Warners and Nolan have actually managed to do a great job keeping the movie under wraps, this level of awareness is hardly uncommon these days. Do we get to see too much of a movie before it’s released these days? Is too much information the Bane of modern movie-goers? A lot has been made of the argument that The Amazing Spider-Man is a superhero movie for girls. Indeed, comparisons have been made to Twilight of all things, suggesting that The Amazing Spider-Man has been constructed in such a way as to appeal to younger female audience members. I think that’s a fair point, even if mentioning the “T-word” inevitably provokes fanboys to foam at the mouth. Gwen Stacy, as brilliantly portrayed by Emma Stone, feels like a much more central and important part of this film than any female character in any major superhero blockbuster produced over the past few years. 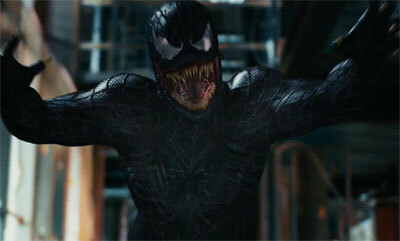 However, there’s also a sense that while there are some quite conscious and deliberate similarities between the Twilight franchise and this “new and improved” superhero reboot, The Amazing Spider-Man manages to fulfil all these tropes and conventions without resorting to the uncomfortable sexism and stilted emotional responses that have prompted a lot of critics and viewers to so loudly criticise Stephenie Meyers’ vampire franchise.